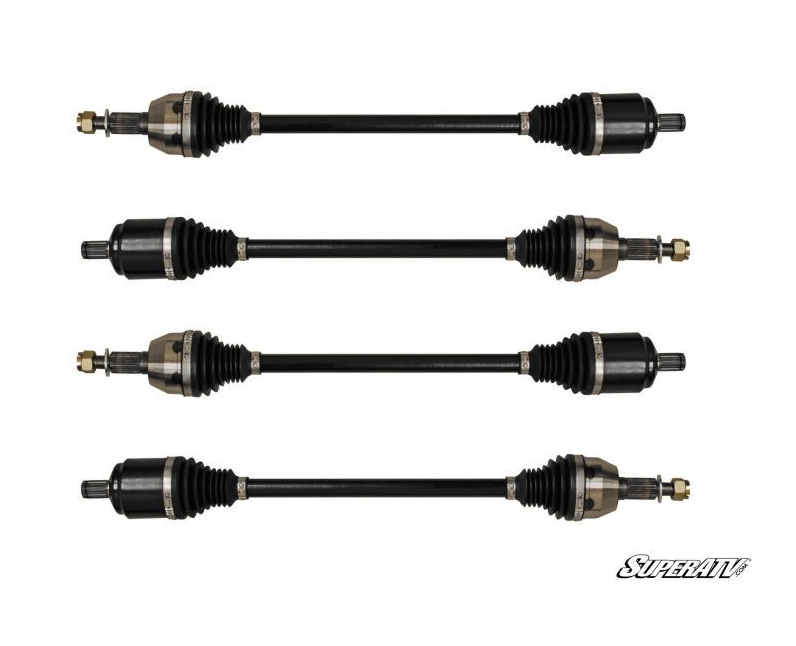 Only fits models equipped with Walker Evans shocks. 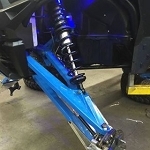 Does not work with RZR 1000 Fox Edition factory front sway bar. 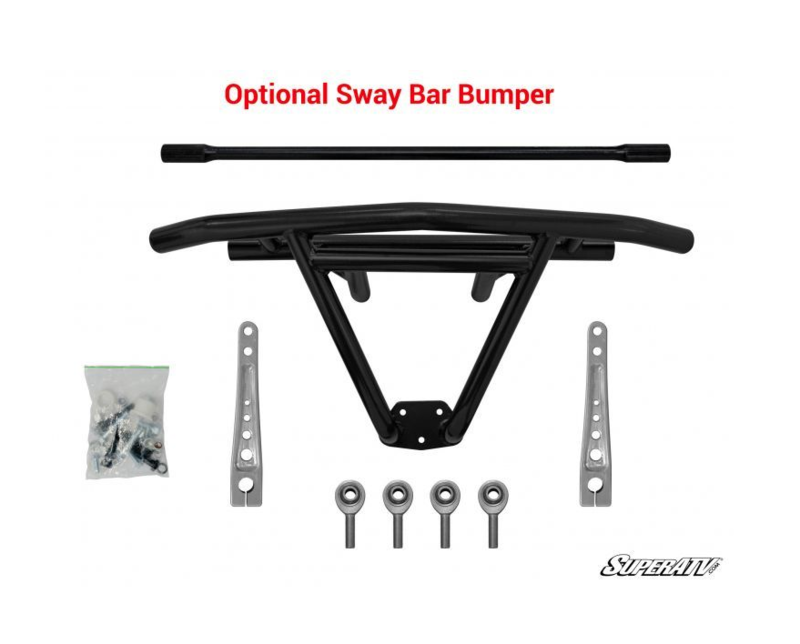 To use a sway bar, you must use our optional front sway bar bumper. 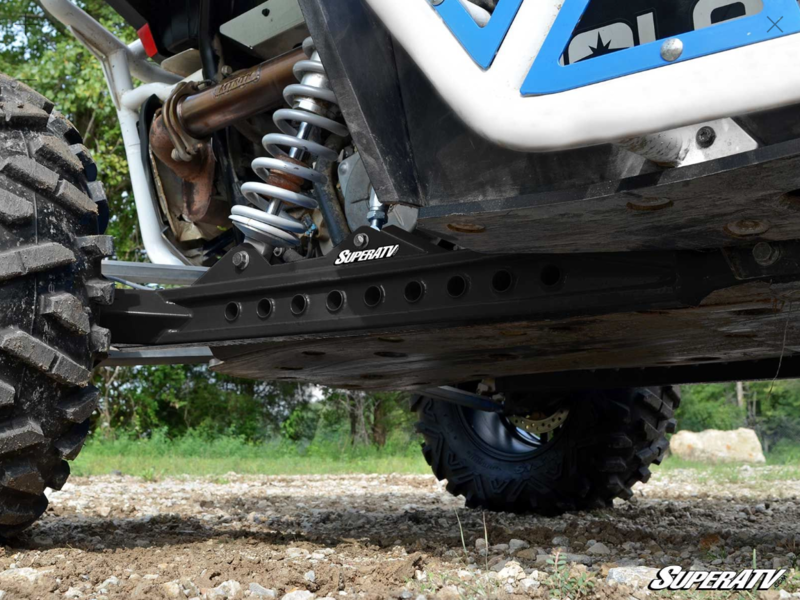 SuperATV has taken years of engineering and design experience to deliver a new breed of long travel kit. 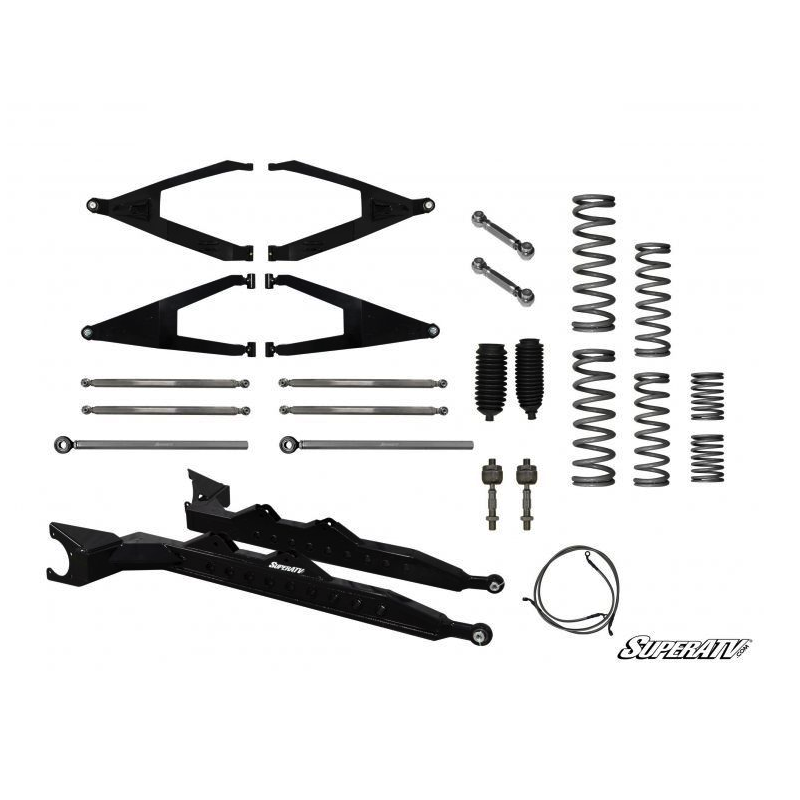 This 3 long travel kit for the Polaris RZR 1000 is designed to give you unmatched stability and performance along with extreme durability. 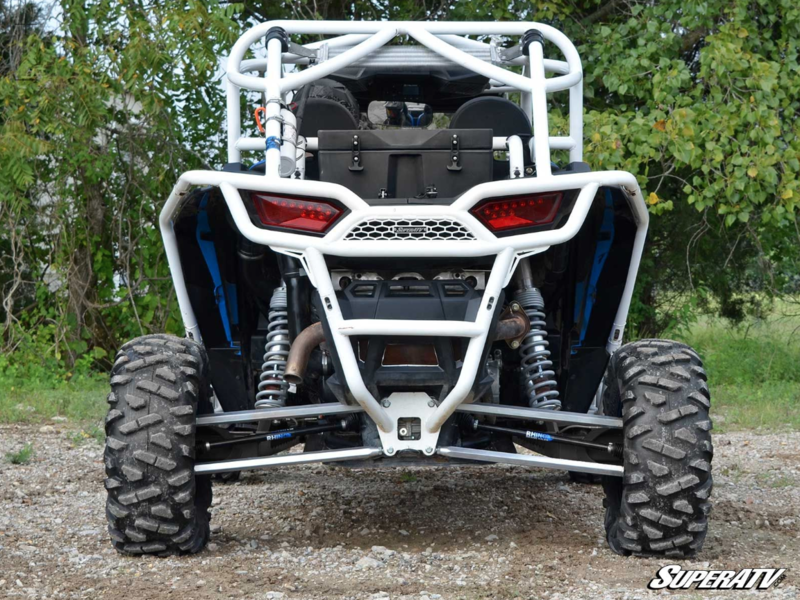 Not to mention it looks awesome! 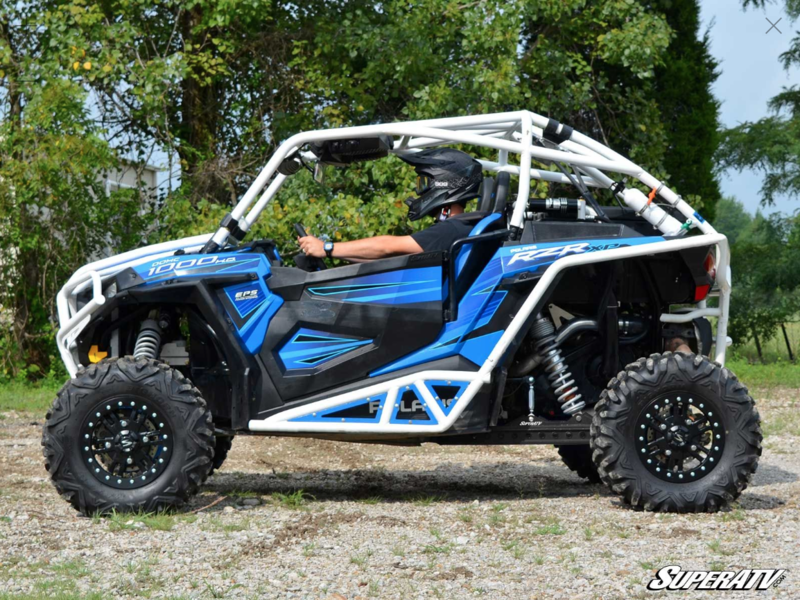 We take this kit over the top by utilizing SuperATV's Rev1 performance line of AtlasPro Boxed A Arms. 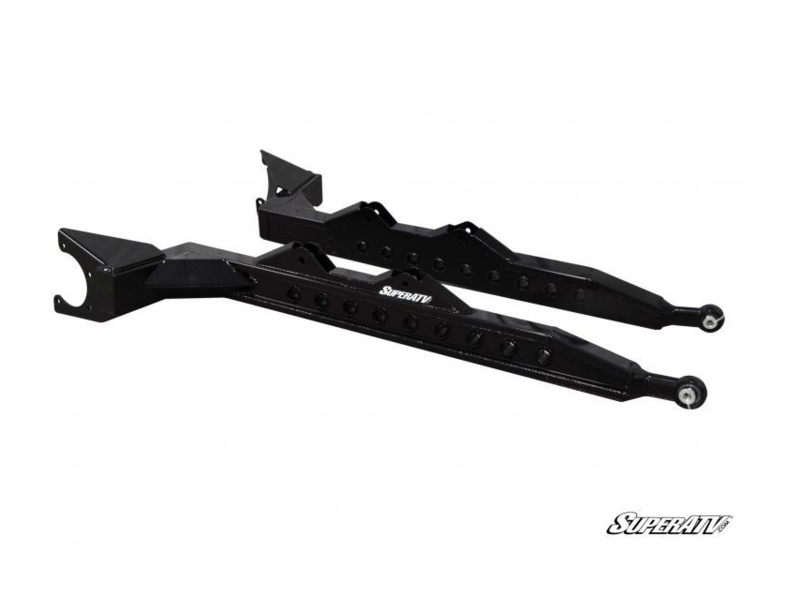 Each arm is constructed of a precise blend of materials then hand welded, making them 4x stronger than stock! 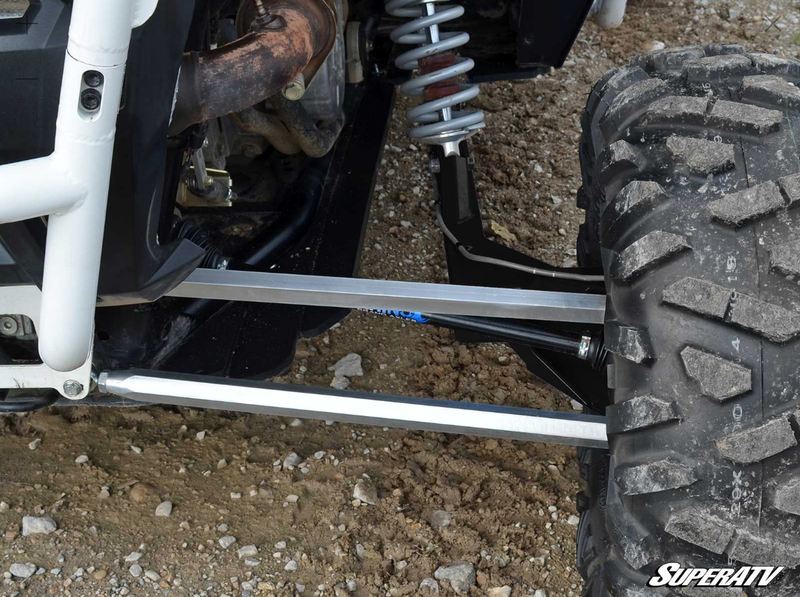 Through our unique dual bend design, SuperATV arms give you even more clearance giving this kit 2 total ground clearance over stock! 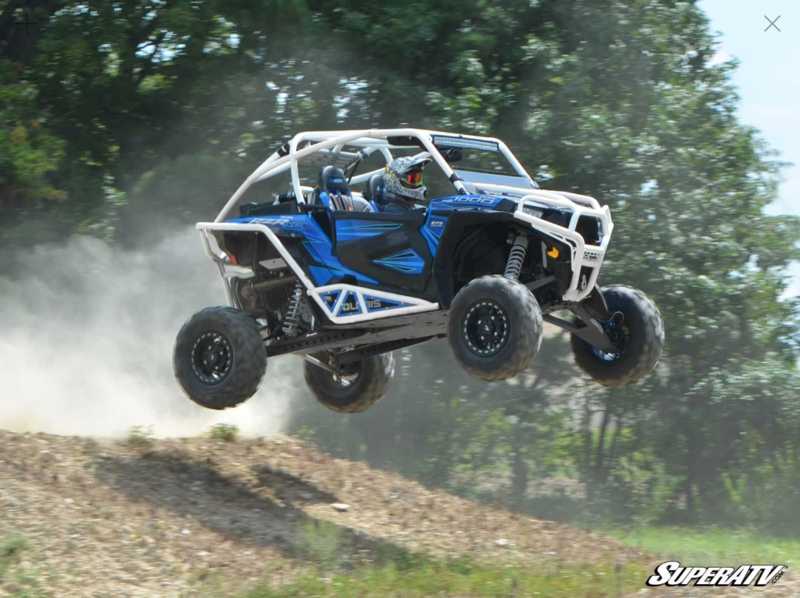 It will take you over obstacles that would have once hung you up and ended your fun. What does this mean for you? 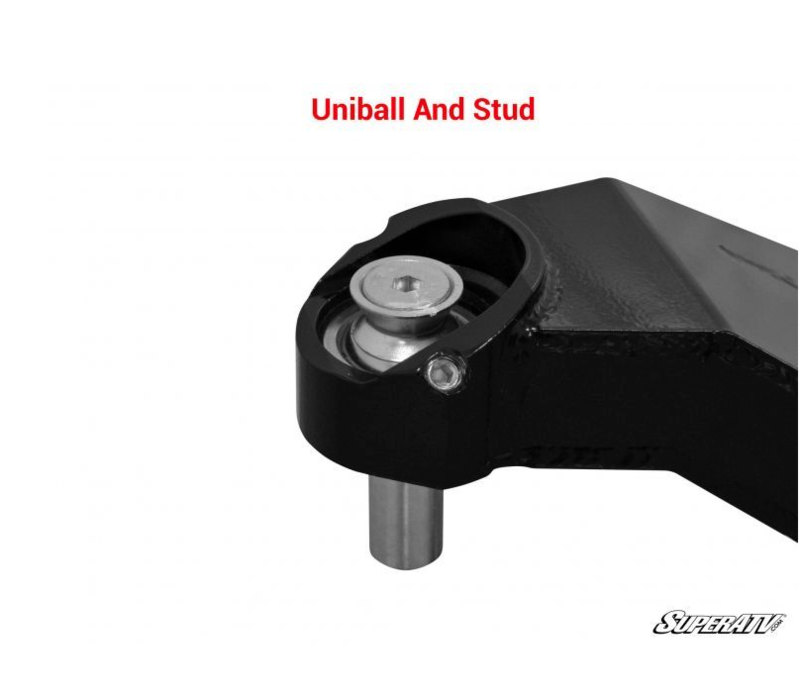 The High Clearance A Arms in the Long Travel Kit for the RZR 1000 feature industry leading Adjustable Pivot Blocks. 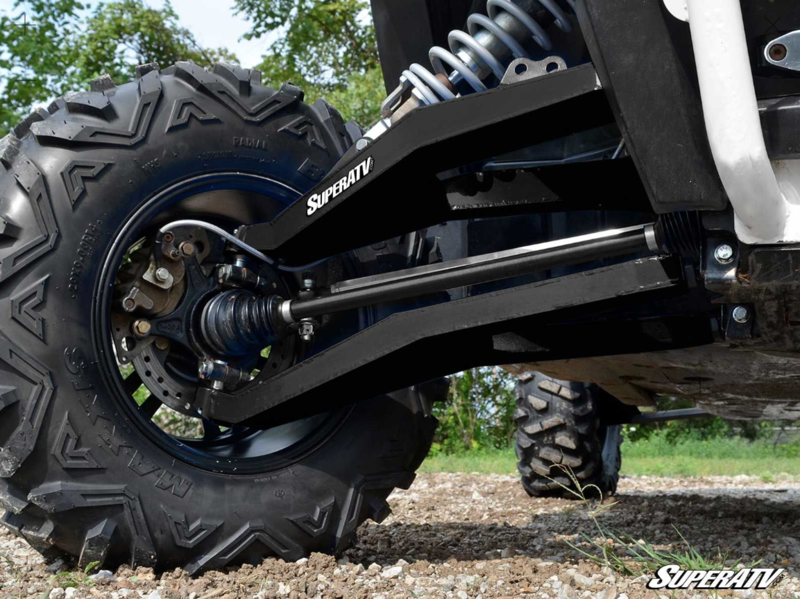 Unlike others, SuperATV arms allow you to adjust your alignment. 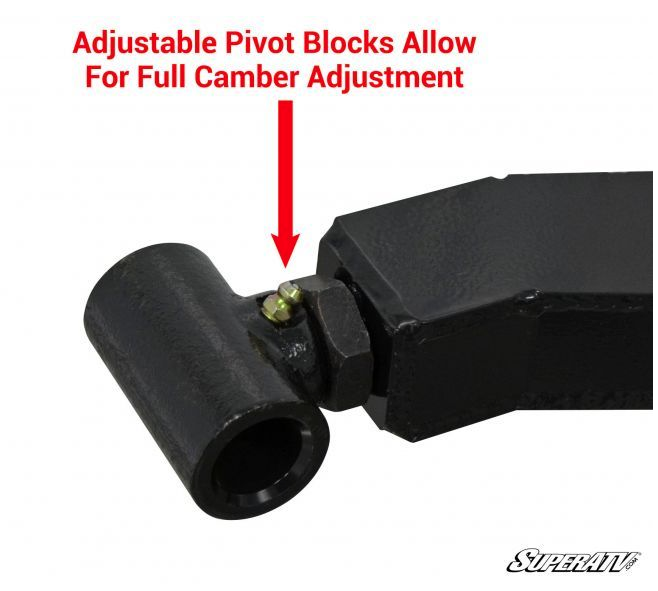 Adjustable pivot blocks eliminate the worry of premature tire wear that can come from the addition of a lift kit, new shocks, or larger tires.